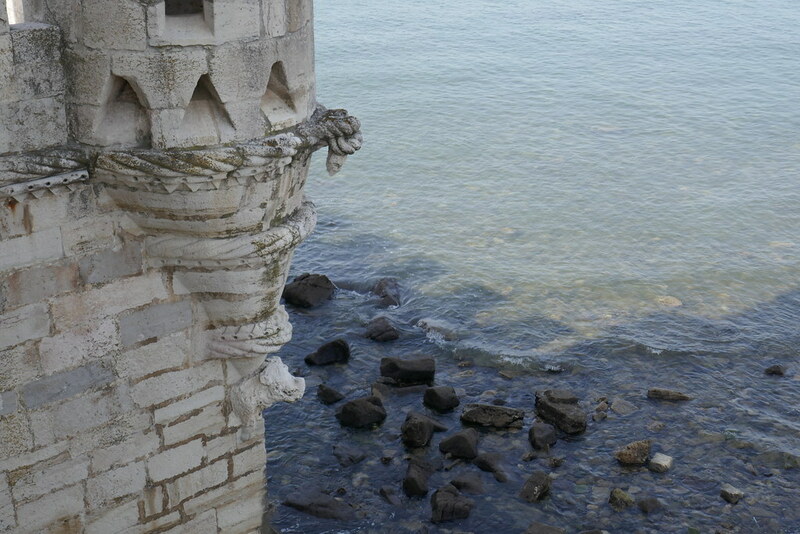 Starting the day early once more so as not to waste the cooler mornings we went to visit the Belém Tower. Using an Uber to get there saved us a lot of time and got us right where we wanted for a surprisingly small price. We were then ready and waiting in the queue for the Tower to be opened, the great queue of tourists, which we later learned was a great time to go as once in you can look around but there is a limit to the amount of people that can be in places at a time and so many people were later having to queue a lot longer than we had for people to exit and they therefore go in. 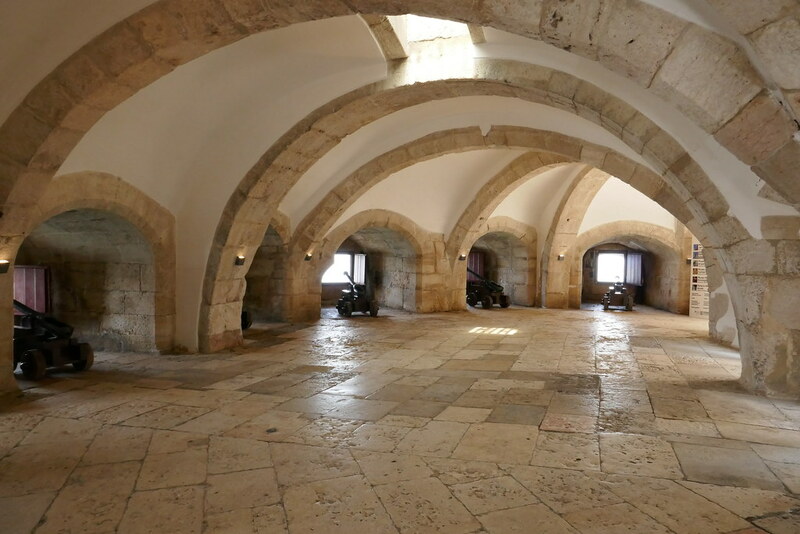 The place itself is beautiful with the first floor having these large archways with cannons in that lead to holed windows that would have been used in defending the city from attackers when built back in the 1500’s. It was made into a lighthouse and customs house many years later but restored now to what it would have looked like all those years ago when it defended the city. 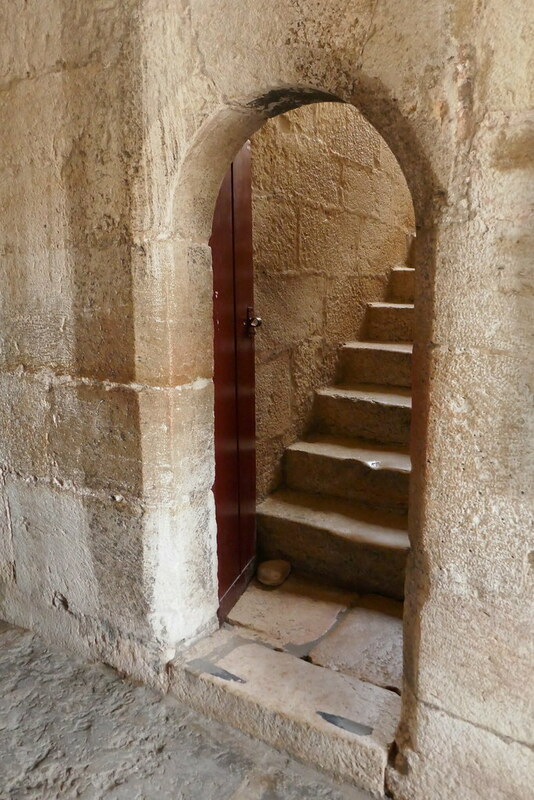 It also had one floor below ground, very creepy feel to it with the cold air flow and low ceilings. And another five floors above the initial one, each with great view points and some lovely balconies. Also having these very draw-a-castle style of barricades on top of the higher areas of the walls. 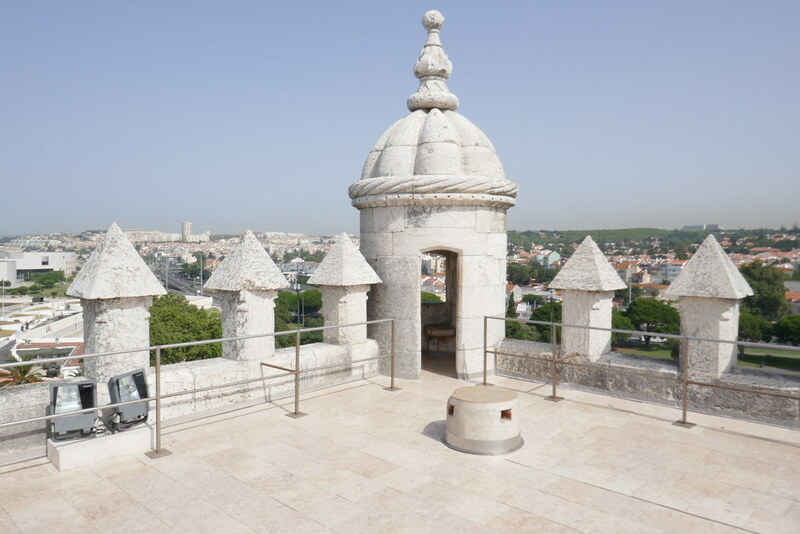 The whole places is like something out of a fairy-tale novel with the beautiful architectural design, you can see why it was classified a world heritage site in the 80’s and it still a highlight to visit in Lisbon with the €6 entry fee. 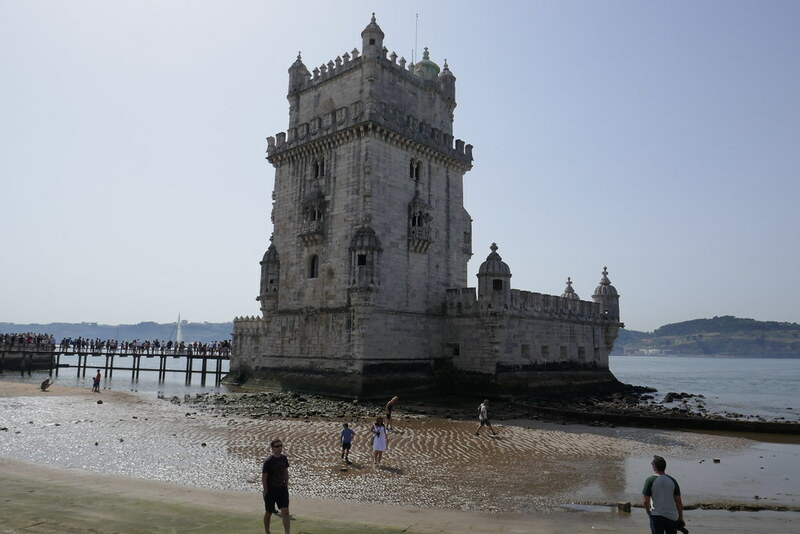 We then had a lovely tea break at the café next to the tower, my family having the well known Portuguese dessert ‘Pastel de Nata’ an egg tart pastry with cinnamon. While I had myself some good scoops of chocolate ice cream with a refreshing glass of fresh made lemonade. 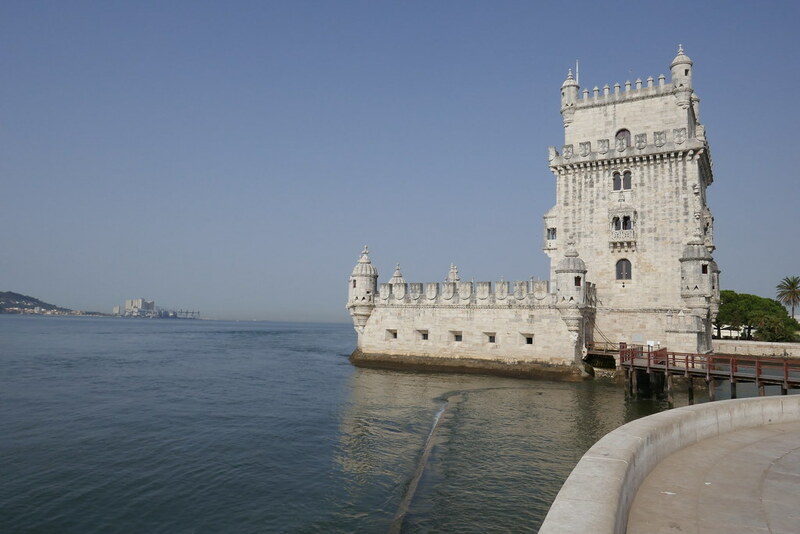 Refreshed and energized we all began making our way to Mosteiro dos Jerónimos, a beautiful monastery built in the 1500’s. 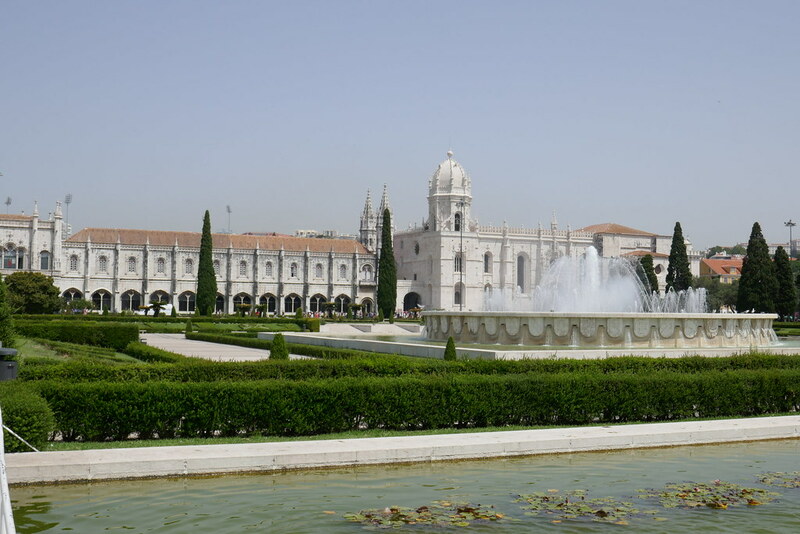 The sight was really eye catching, large and bold with these great fountains, topiary and sculptures arranged in front. Unfortunately with the large ques in we decided to visit the museum space next door. 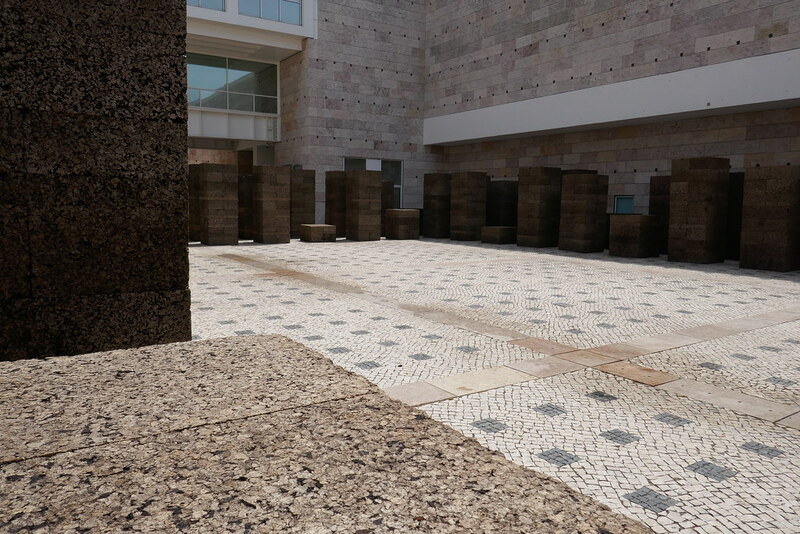 Museu Coleção Berardo is a collection of art from the 20th century to the present day and therefore a great show of contemporary and modern art. 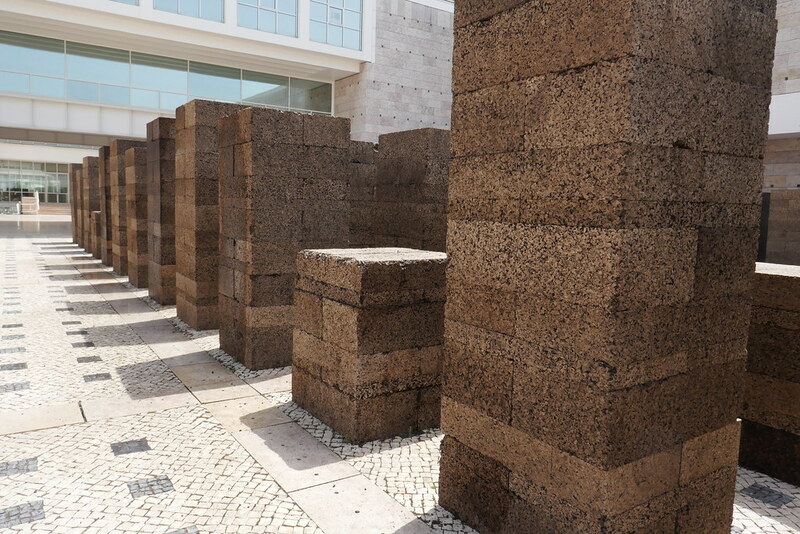 The entrance had this grand cork sculpture that was so immersive, especially in the heat, it looked bold and interesting with the large cubes of cork in varying heights but equal precise distance from each other and placements. If you were to stand inside the structure the sound would go dull and around the outside of them were these blasting fountains of water that sprayed out every now and then, cooling us doing in the warm 40 degree heat. 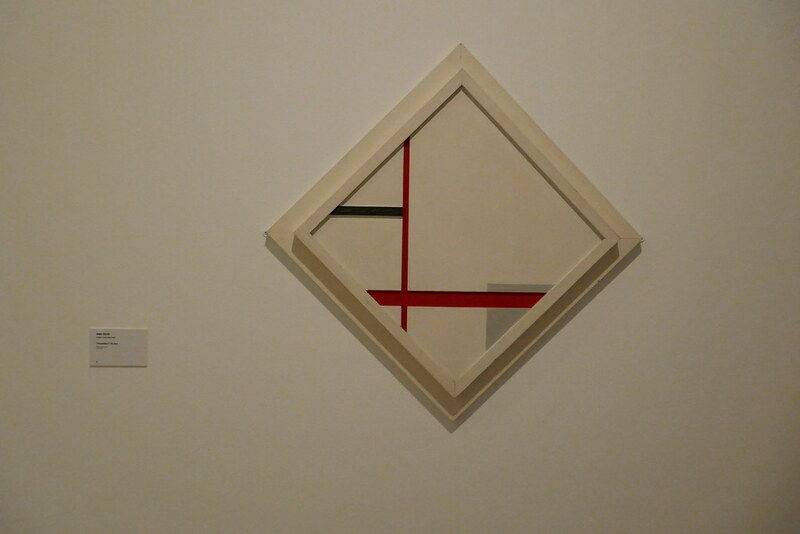 We first went through the Permanent Exhibition, This first piece struck me with its use of line and colour all perfectly shown in this display here as it uses the light and shadows well when hung this way. 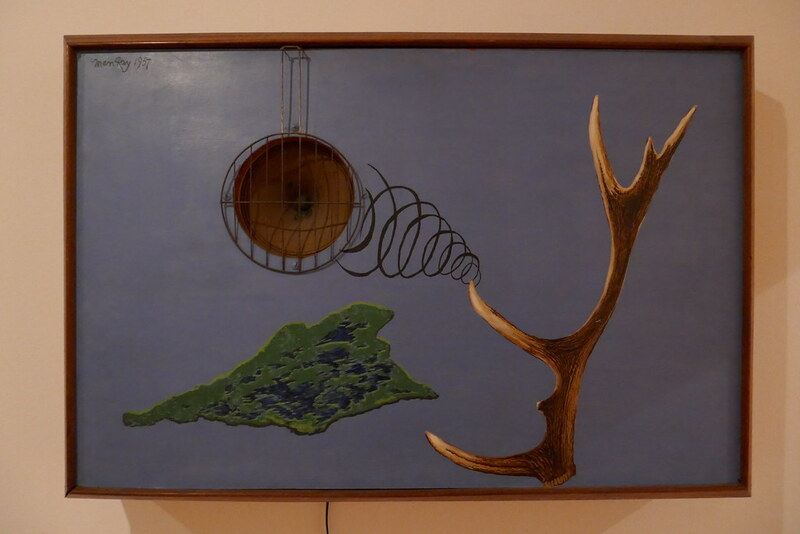 As soon as I saw this piece I knew it was a Man Ray, with its bold unique style, but unlike the other pieces of his that I have seen this one takes the 2D painting elements into 3D well. 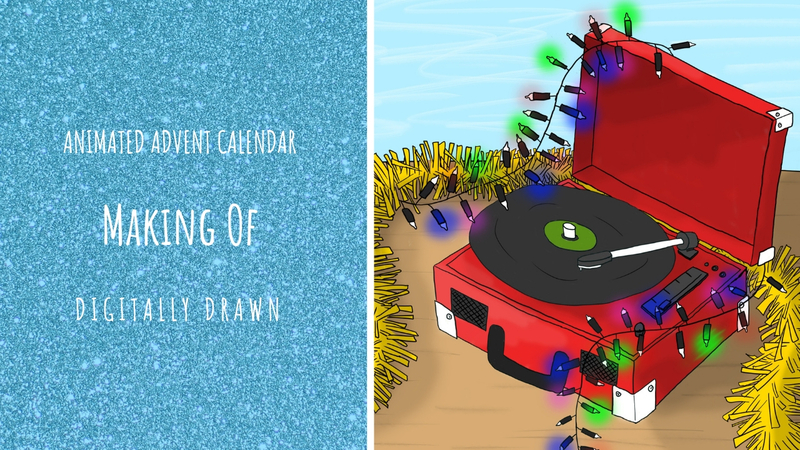 The most entertaining part of this painting being the fact that the speaker had modern day music playing out of it, something which Man Ray never could have imagined when he had made the piece. 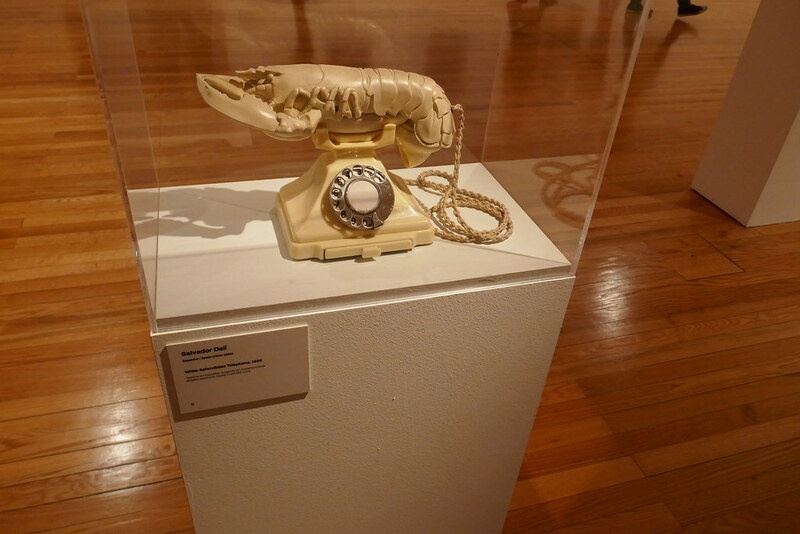 This piece was really exciting to see as a fan of Dali’s work and having studied his telephone sculptures previously within my work it was amazing to actually see one of them in person. The great surrealism of the sculpture did not disappoint in person, it truly makes you smile with the strangeness of it but also how the fame of the piece has almost normalised it too. And the White Aphrodisiac version here is even more surreal in ways which is interesting. The almost animated alive feel this piece had is what made it stand out so to me in this room of great bold sculptures. 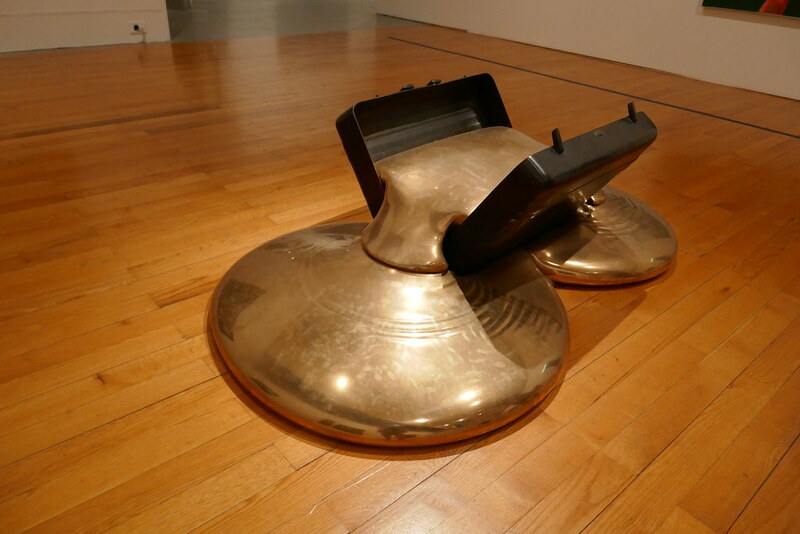 You can see the gold oozing out perfectly of the black suitcase, César has replicated the life elements to give this piece the expression of movement here perfectly. Andy Warhol is another artist that I am a fan of and this exhibition has a great little collection of his pieces, with a couple of the 2D painted pieces and this sculpture of his. 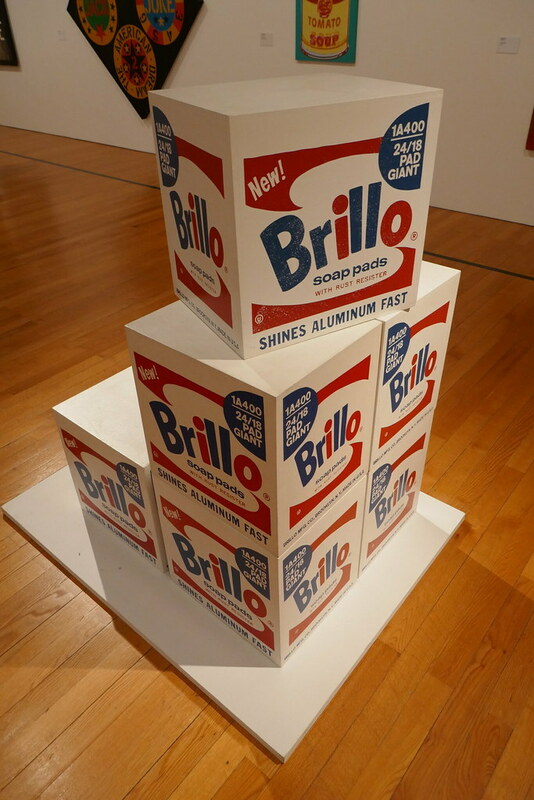 I always thought the naming of these soap pads being ‘Brillo’ was comically clever and obviously Warhol thought the same, these are large pop art versions of soap pad boxes. You can see great use of colour and form with this sculpture as it is such a large and interesting surface painted and sprayed upon for this piece. It is great in photograph [captured here in panoramic so as to see all of the piece] and to film as I created these great little boomerang shots of the piece, creating something totally new with the art. 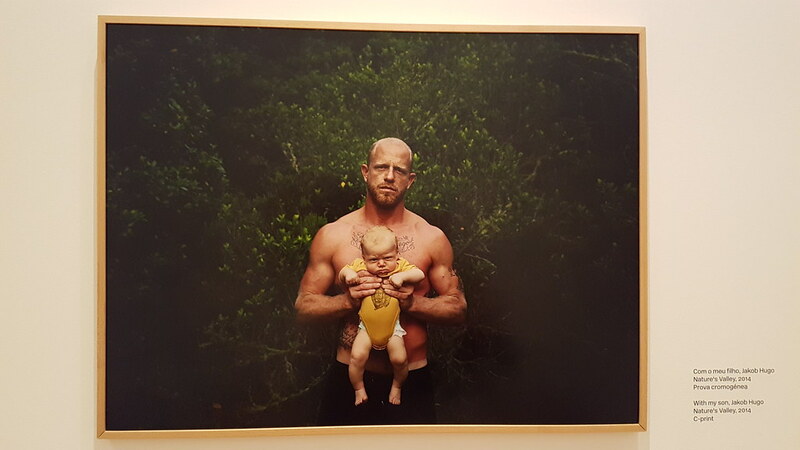 Part of the Temporary Exhibition ‘Between the Devil and the Deep Blue Sea’ that is running from 5th July until 7th October of this year this South African photographer Pieter Hugo explores people’s lives through his photography. 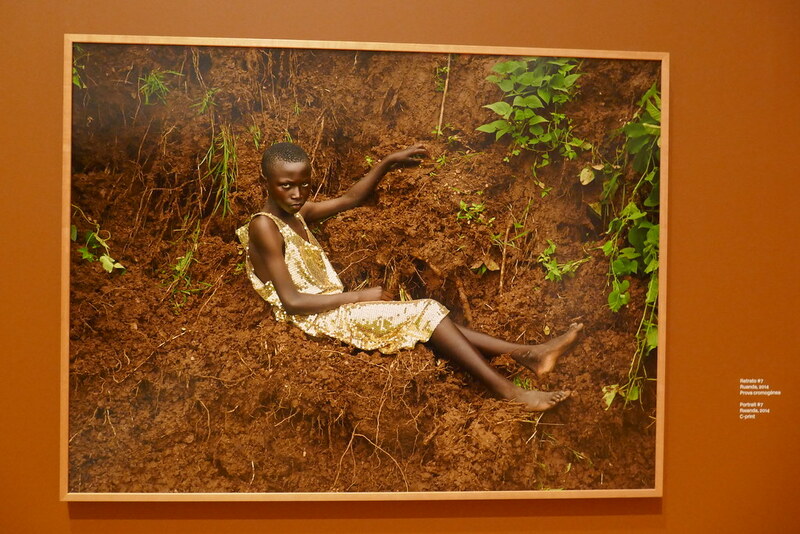 They are striking and powerful in prints, this being one of a young girl in Rwanda. It shows a great amount of detail and texture within the earth and makes the figure stand out. In a series about Kin and family this photograph shows the artist and his son, with a rather comical grumpy expression to the baby’s face. Once again this piece has a great luscious detailed natural backdrop to the figures and also makes the figures stand out more again. The portrait draws you in, makes you wonder about the people’s lives and the family story they each have. Part of the Temporary Exhibition ‘Photo-Scripts’ that is running from 22nd February until 26th August of this year photographer João Miguel Barros creates these short stories with his series of photo scripts, a technique I am rather familiar with in my film work, as it is a useful technique for us animators to pan out animations sometimes. 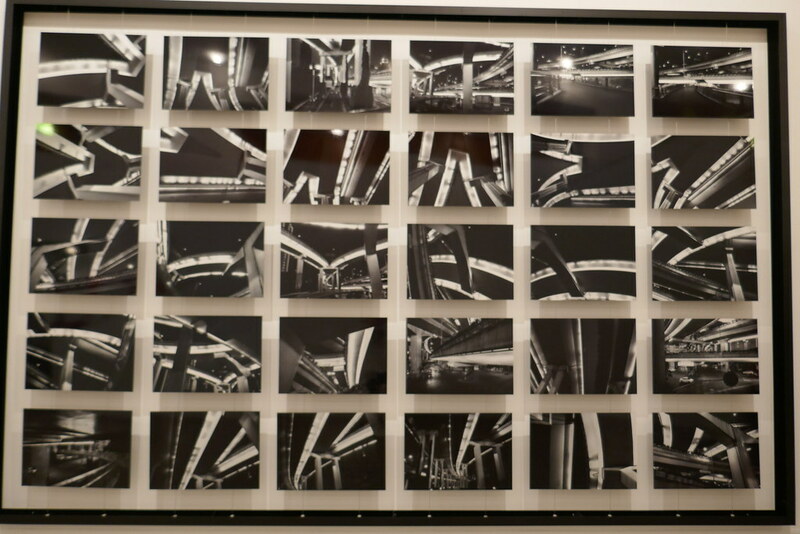 This initial piece is seen outside of exhibition space as the first story in Shanghai, showing the life and movement around the city. The story of a boxer shown here who grew up getting stronger for fun and ended up doing it for a living. 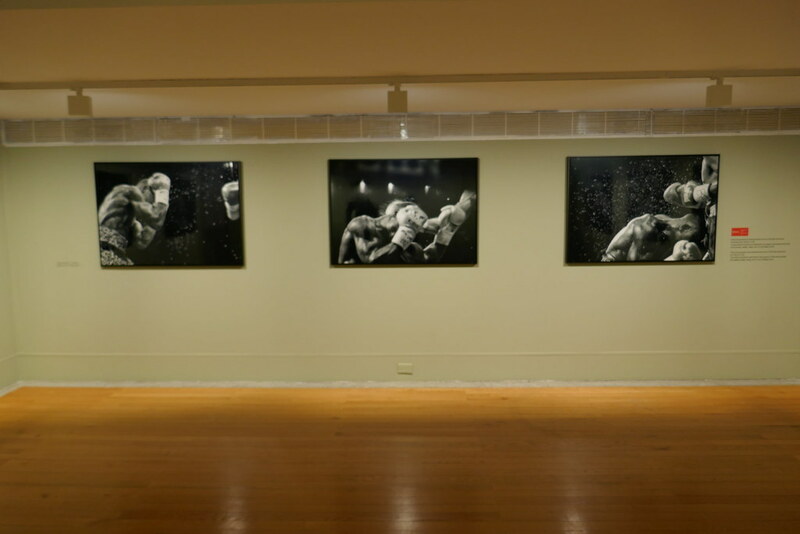 These photographs are really powerful with the action shown in the middle of this fight, the sweat and strength irradiating off the print and captured perfectly. Overall this museum visit was really wonderful with a great open built up space for the pieces where you can see everything clearly and walk around easily which I realised once having it that I haven’t been a part of such an exhibition in a long time. It also has a great culture of art around it with stores to buy supplies from and places to buy art as well which was really nice, creating a creative buzz. Afterwards we grabbed some sandwiches and drinks at the locale café outside the gallery. Some homemade fresh treats which made for a lovely refreshing stop to end the day.